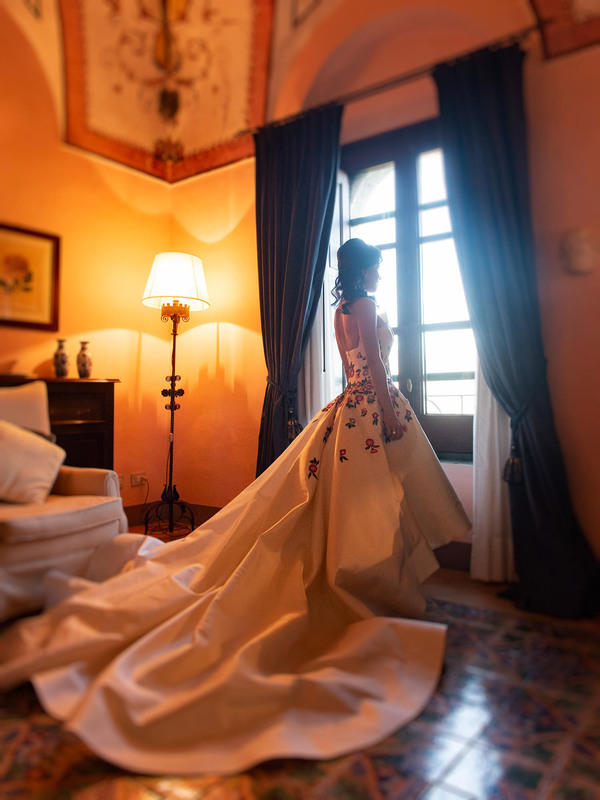 There is really no explanation other than coincidence or fate that brought Genane and Ziad together on in Amalfi Coast for their Wedding in Villa Cimbrone, the exclusive wedding venue in the Amalfi Coast. 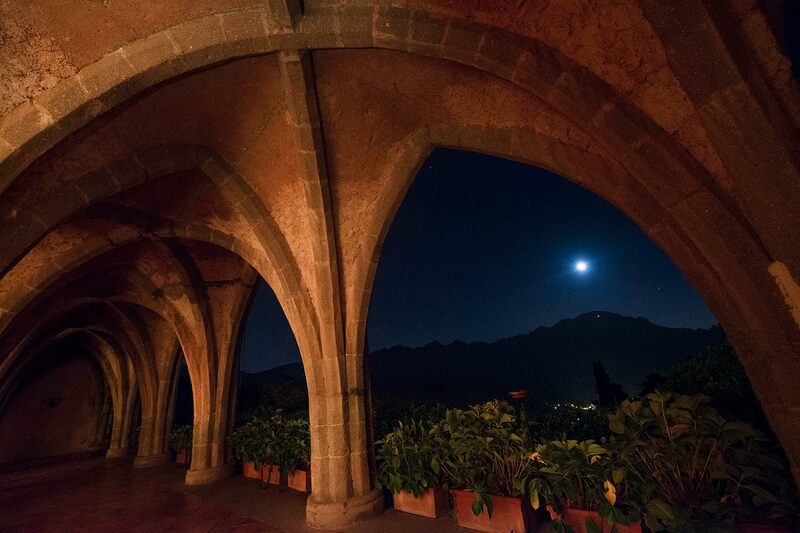 The two lovers had their eyes set on Villa Cimbrone following a short visit to celebrate Genane’s birthday in Ravello. 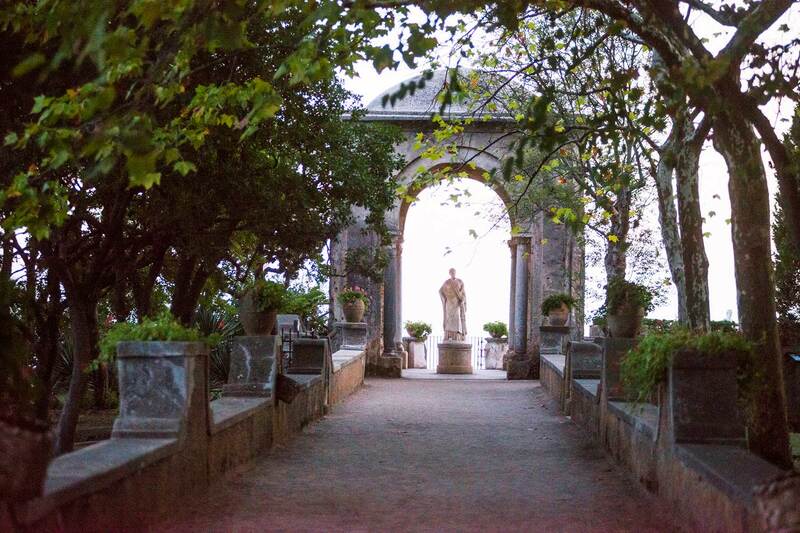 Villa Cimbrone is well known for being one of the most prestigious Hotels de Charme overseeing the Mediterranean Sea. It is said that Ravello is situated “halfway between the sky and the sea’” and it is certainly one of the most beautiful places in the world. 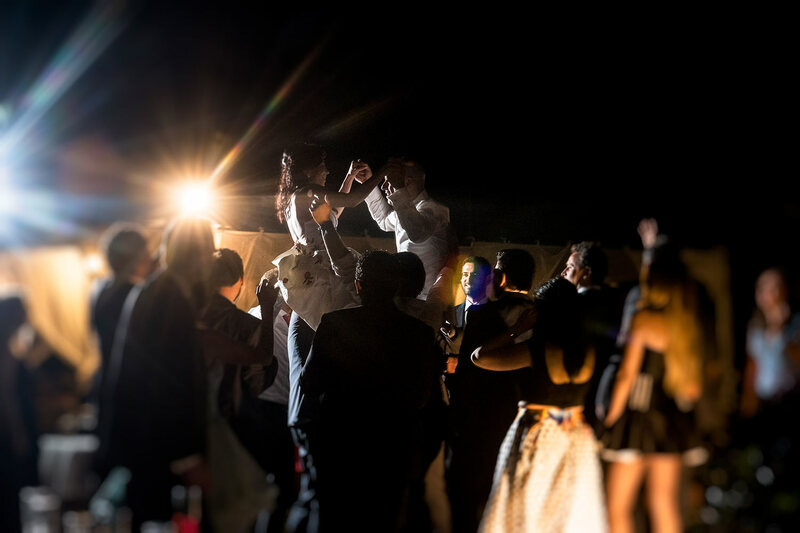 The impeccable 3-day event exceeded the expectations of the couple and their guests. 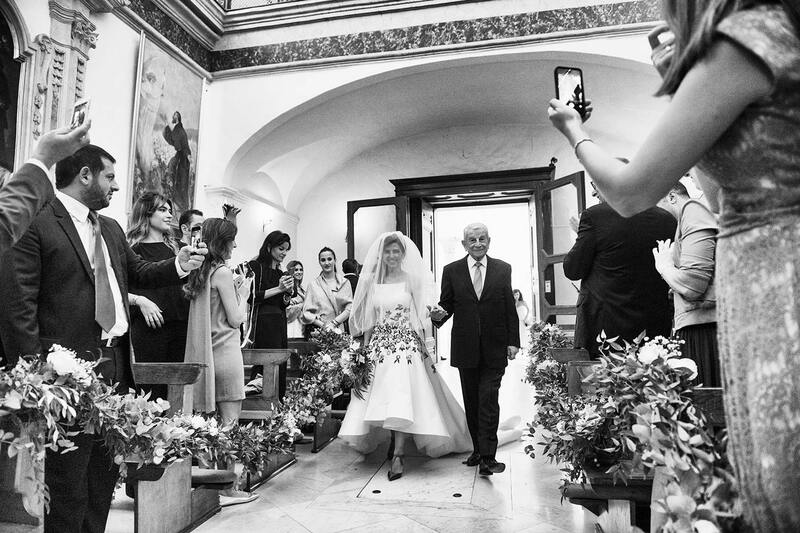 The civil ceremony took place in the Principessa di Piemonte Garden which overlooks the Amalfi Coast and the church wedding took place in the charming 13th century San Francesco Church with its marvelous 16th century façade. 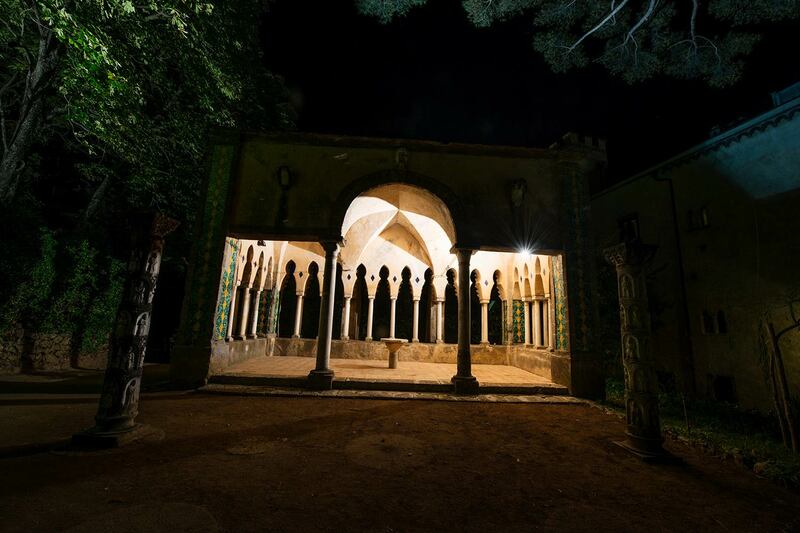 Following the church ceremony, the newlyweds and their guests walked while dancing all the way to Villa Cimbrone on the tunes of a live Napolitan duo (guitarist and mandolinist) while enjoying the scenic walk, the offshore islands, the thickly wooded parks, and the glittering azure sea. 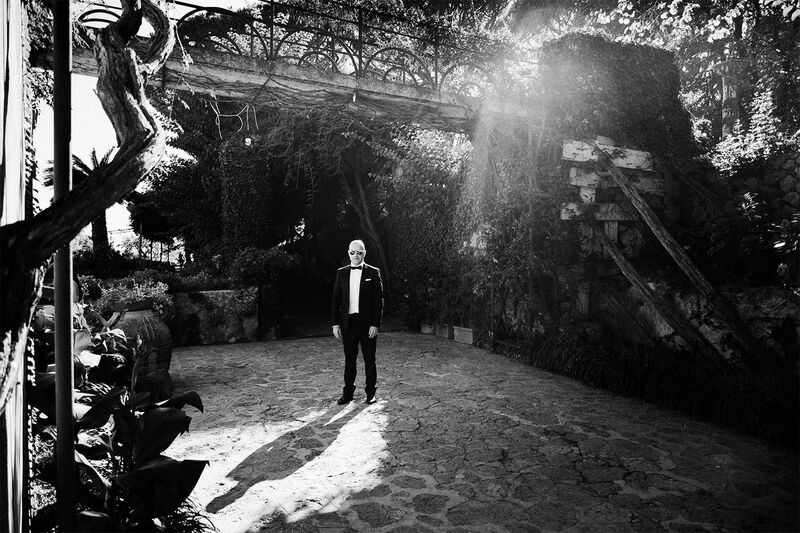 Upon arrival to the glamorous Villa Cimbrone, the couple together with their guests indulged in taking pictures on the villa’s belvedere, Terrazza dell’Infinito (Terrace of Infinity) while enjoying the view, which according to Gore Vidal, the noted American author is the finest in the world. 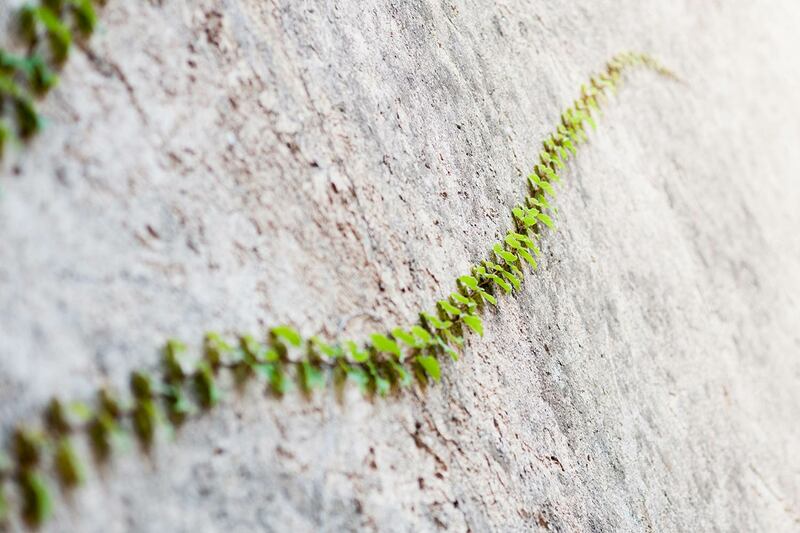 This is surely one of Europe’s hot spots. 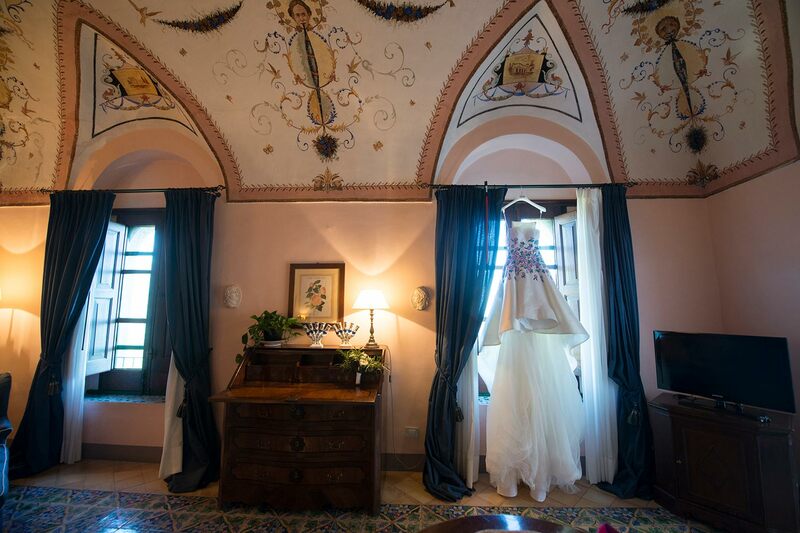 If it’s glamour that you are after then Villa Cimbrone is the place to go! 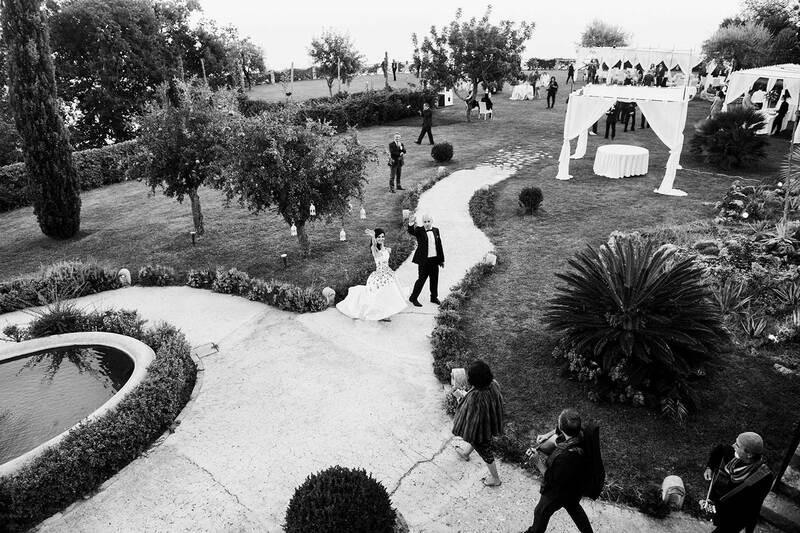 Following that, the guests moved to the villa’s expansive gardens where they enjoyed their aperitivo while enjoying the natural beauty of Villa Cimbrone’s large estate and design elements reminiscent of glamorous soirees which complemented the timeless theme of the couple’s romantic love. 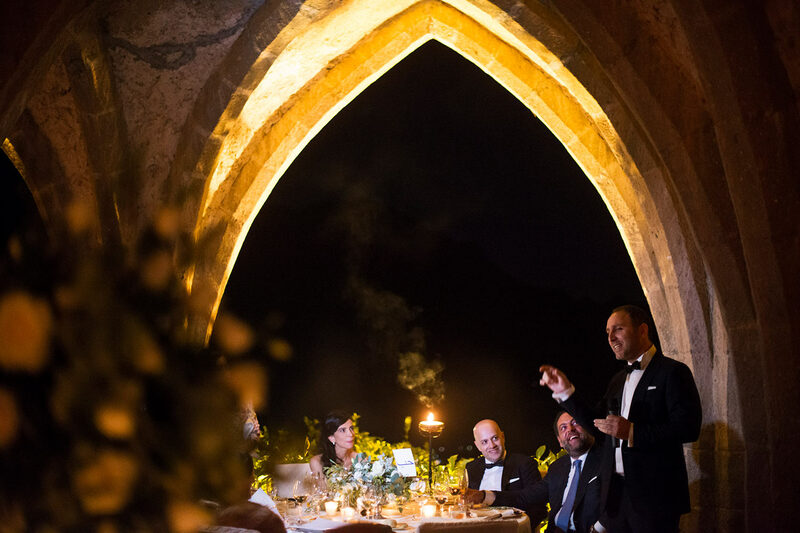 The newlyweds along with their guests enjoyed their seated dinner in the private crypt while listening to the piano music and to speeches that were given by family and friends. 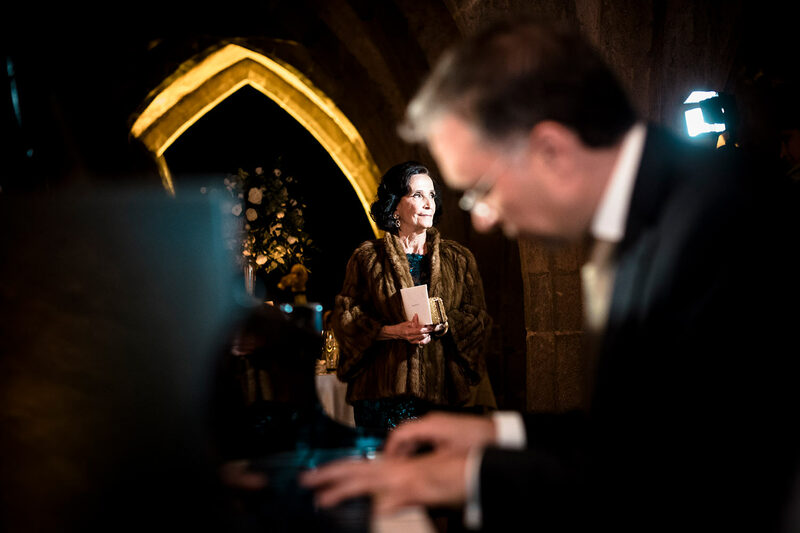 Later on, Genane’s brother played a special piece on the piano, which the DJ resonated in a nearby garden that was transformed to a dance floor where the guests ended up moving to and dancing the night away. 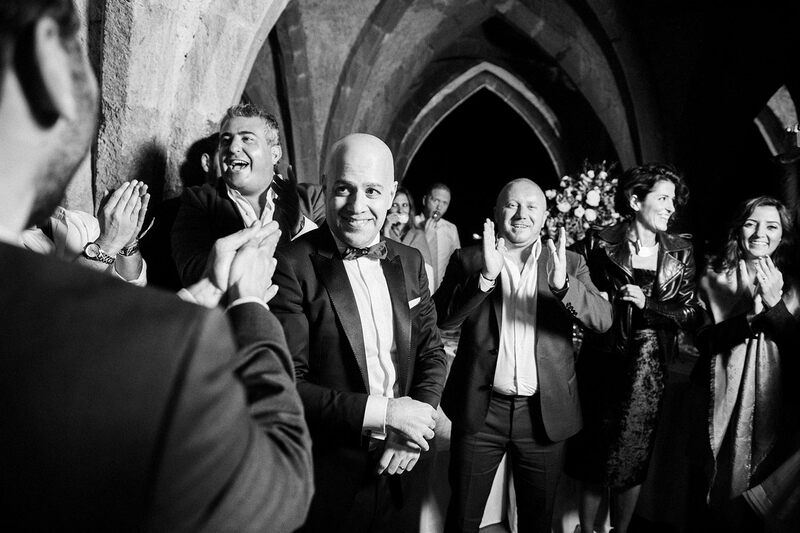 We had a great time working with Genane & Ziad . They are a lovely and a classy couple. If there is a woman who thinks she doesn’t have enough shoes…that is Genane…a real shoe aficionado! 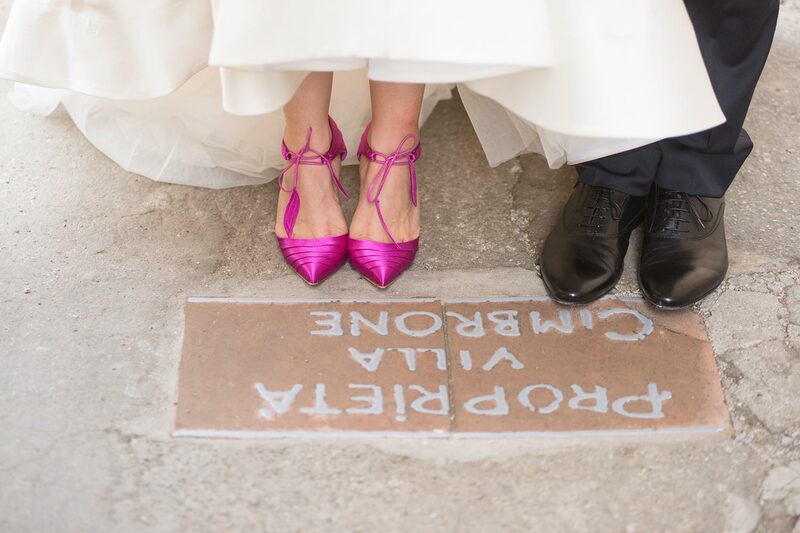 Genane amazed us with her fuchsia wedding shoes which Mr. Manolo Blahnik, the elegant master of women’s shoe design, manufactured just for her. 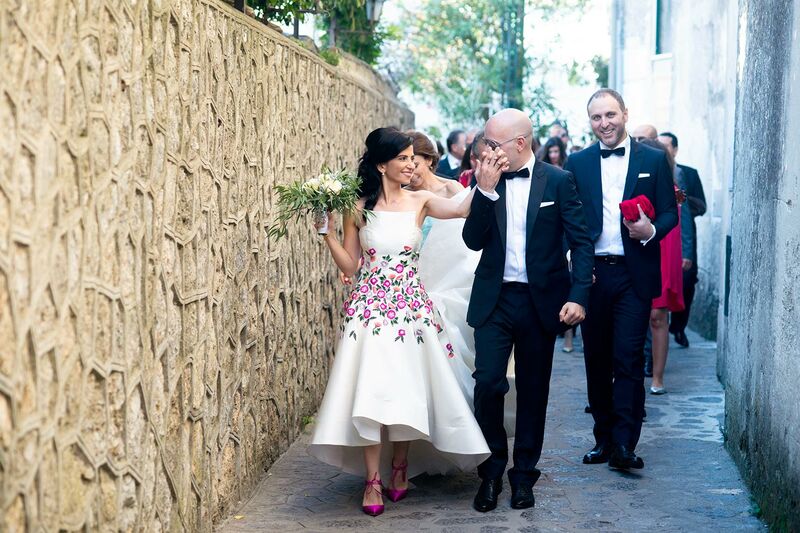 She even had her elegant sister, Lamia, who was the bridesmaid wear the same shoe. 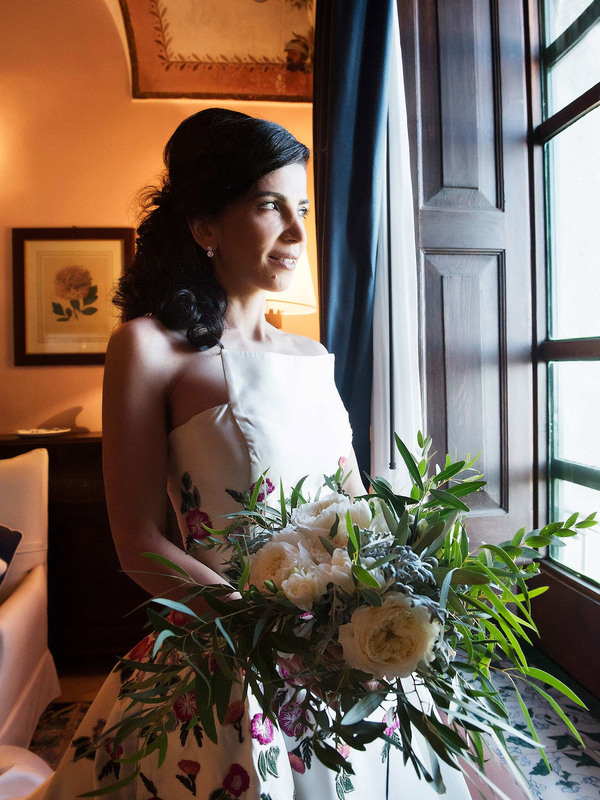 Genane was one of our unique, classy and fashionable brides of this year. 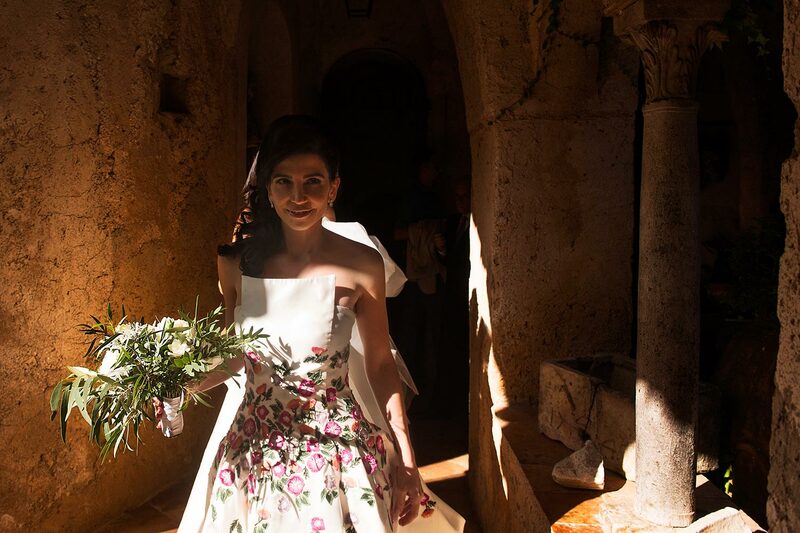 For her wedding dress, Genane had her sister in law, the Lebanese fashion designer Zeina Kash, design a stunning and not so typical wedding dress with lots of colorful flowers to blend with the shoes and to fit the natural landscapes of the wedding venue. 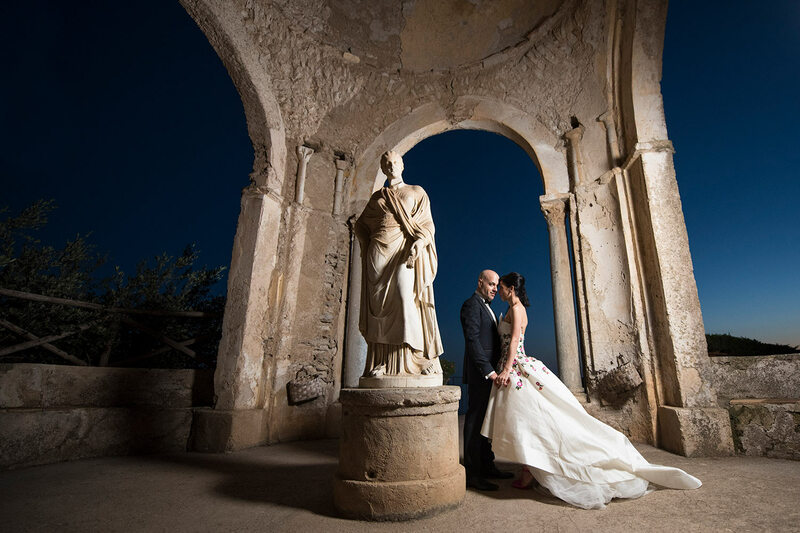 Ravello Wedding Photographer will ensure you have a fabled romantic wedding similar to Genane and Ziad’s Wedding at Villa Cimbrone the exclusive wedding venue overlooking Amalfi Coast. 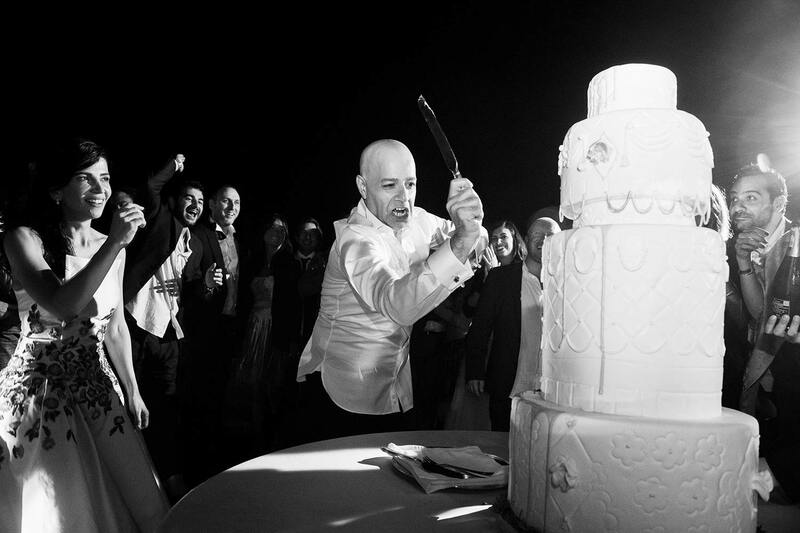 Thank you Genane & Ziad for trusting in our professional photographic services.! We wish you all the best! 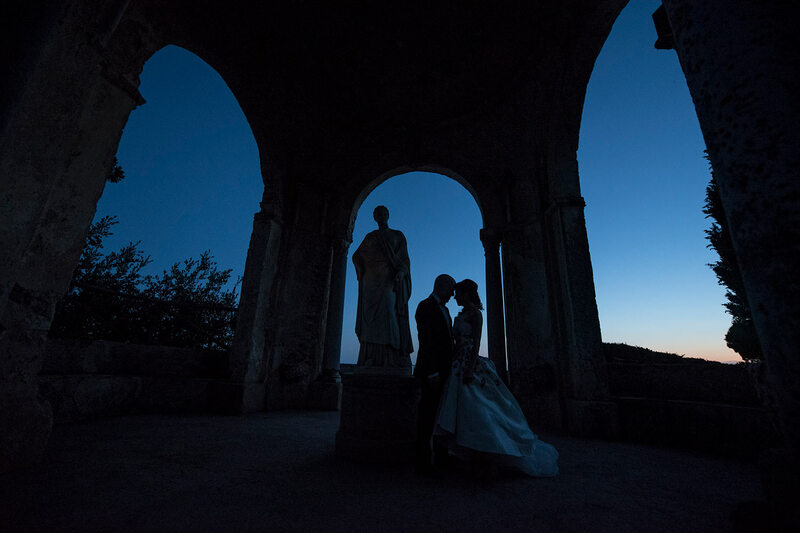 Wedding in Villa Cimbrone: Beauty and Beaux! 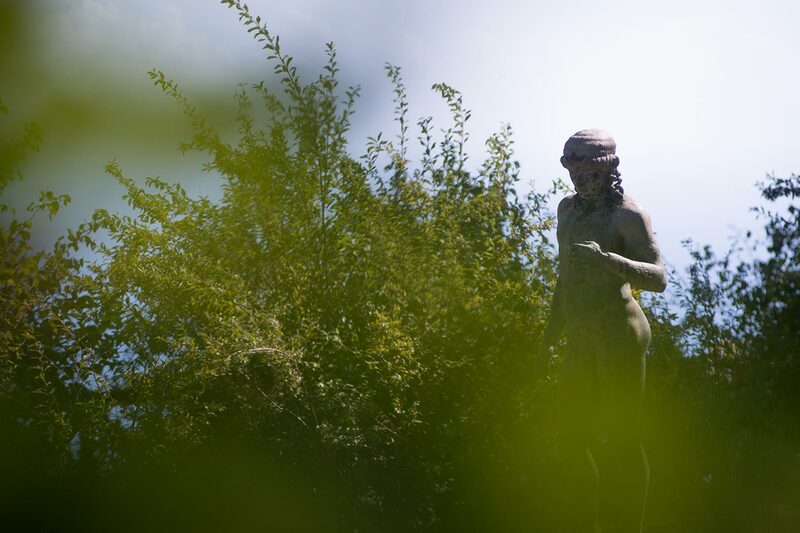 Villa Cimbrone Resort allow guests to choose their preferred accommodations, ranging from elegant and nice chic rooms, to romantic and high-end secluded suites. 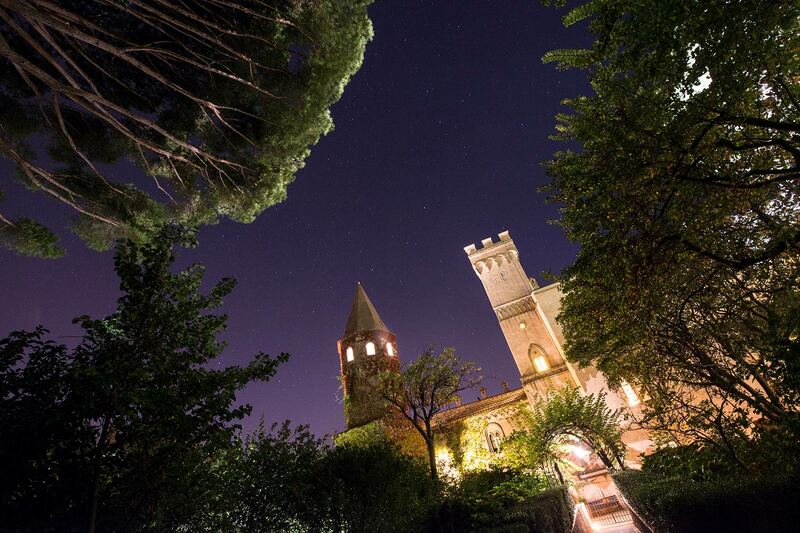 For couples looking to further indulge during these romantic getaways, Villa Cimbrone is the place to be. 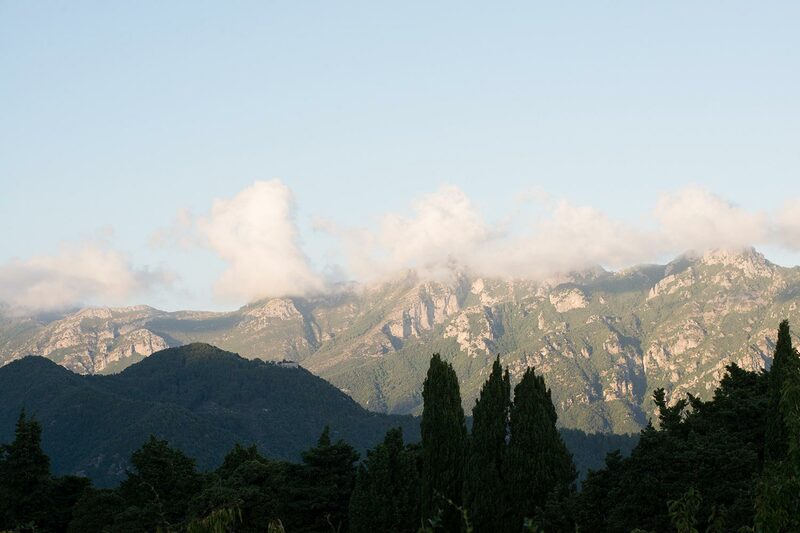 Sourcing from the surrounding fields and pasture, as well as other local farms, Villa Cimbrone resort highlights the abundant resources of the valleys in Ravello. 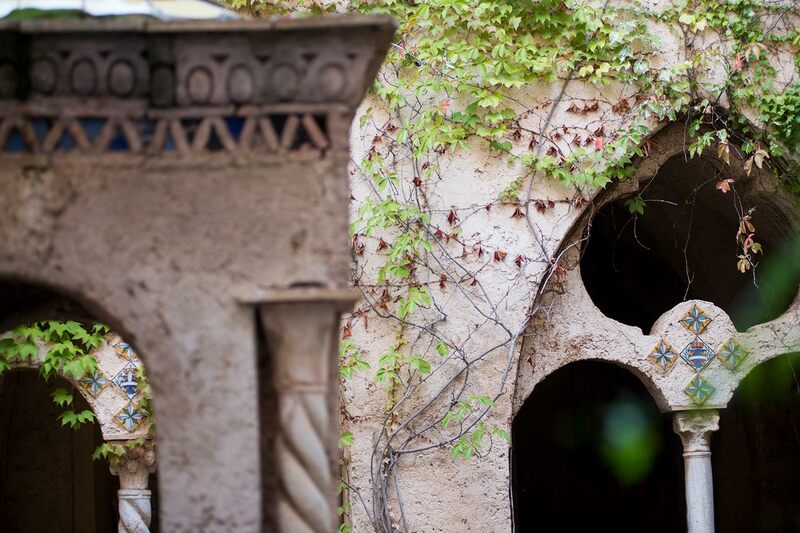 The imposing stone facade and dark antique wood give the late 19th century mansion distinct features to your guests’. 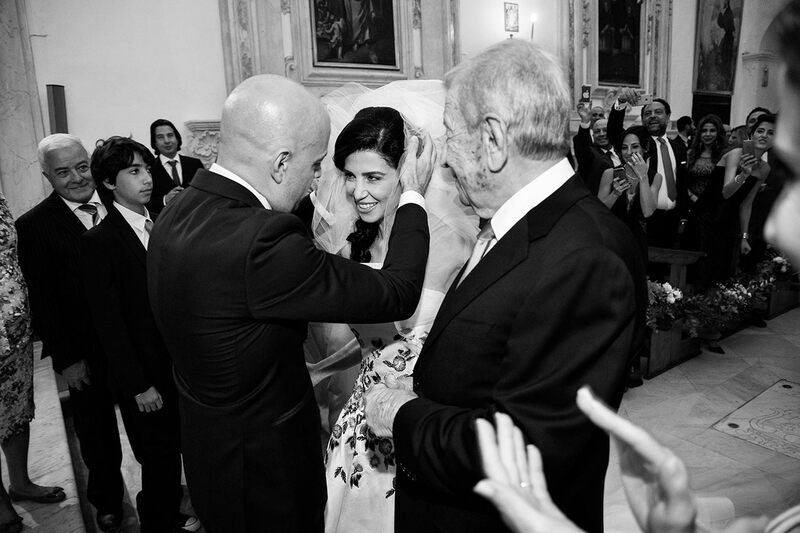 If you are planning to get married, Villa Cimbrone is the best place to exchange your vows. 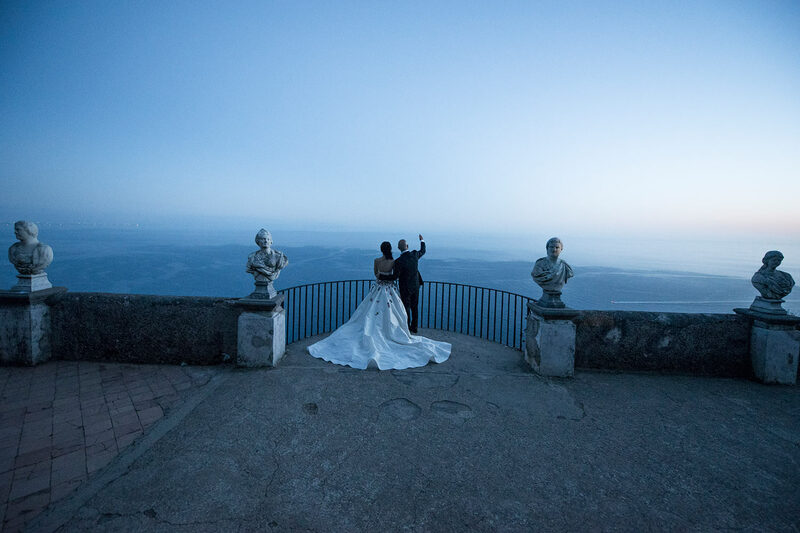 Known as the ultimate resort destination for couples in love, Villa Cimbrone resort is the perfect spot for luxurious destination weddings and honeymoon. 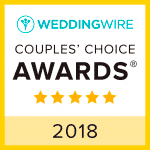 Designed to capture the beauty of the Amalfi Coast with a Luxury Included holiday experience, Villa Cimbrone Resorts provide couples the opportunity to make life-long memories as they celebrate their love and marriage. Villa Cimbrone Resort is situated on incredibly beautiful beaches within the Amalfi coast of Italy. 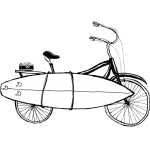 The resort offered guests an excellent value as nearly everything is available. Whether visiting for a wedding, honeymoon or both, Villa Cimbrone Resort always over-delivers, exceeding guest expectations.Couples can select where they would like the ceremony and reception to take place on the beach with a backdrop of the coastal waters, in a beautifully-manicured tropical garden, or any one of the varied indoor or outdoor venues offered at the resort. And the most exciting part was the luxurious honeymoon. For those guests who have already walked down the aisle prior to arrival, the honeymoon offerings are just as exceptional – and included! 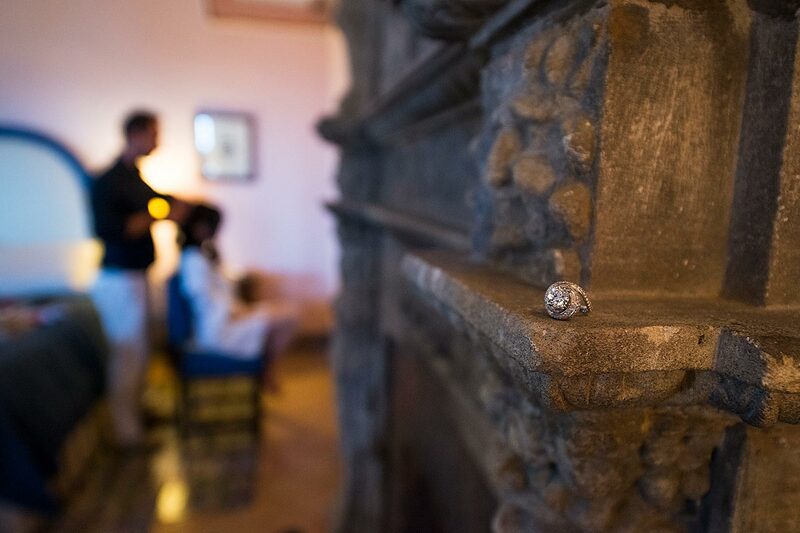 Couples thereafter received Villa Cimbrone’s extraordinary romantic bedroom turndown service, featuring scattered flower petals alongside a nice dinner with piano music.